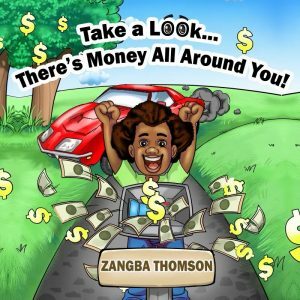 Take a Look – There’s Money All Around You! is a prosperity, life-changing guidebook, which highlights the secret ingredients needed to become a prosperous moneymaking machine. Take a Look – There’s Money All Around You! So maybe you want to make 30k a year, a month, or even weekly? Or maybe you want the treasures of the universe? It doesn’t matter because this practical, easy-to-read book will show you how to become prosperous in seven straight-to-the-point chapters.